If you want an excuse to be a couch potato, NatIonal Geographic Wild is airing dog content all weekend, beginning Friday, May 15. The inaugural #Barkfest features Cesar Millan marathons, shows featuring service dogs, surfing dogs and more. 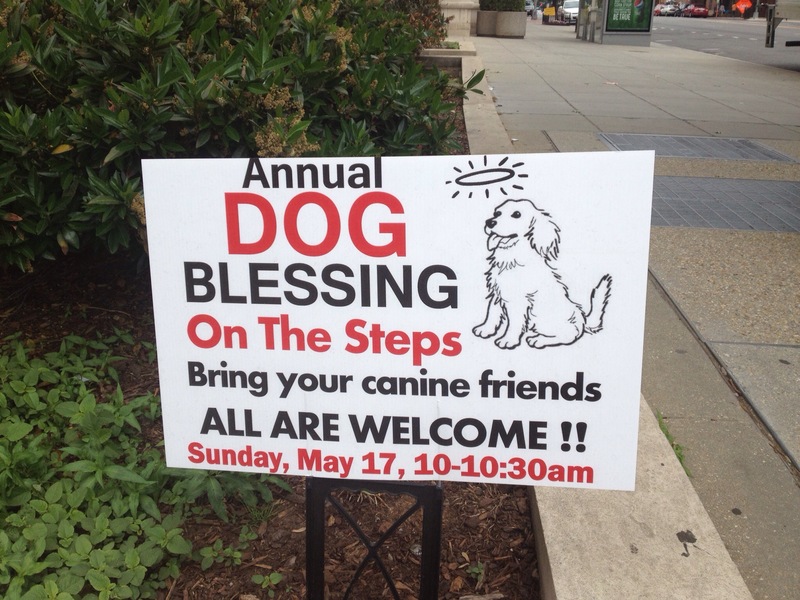 On Sunday, May 17, the National City Christian Church on Thomas Circle in NW is conducting their annual dog blessing on the front steps. Keep fluffy out of trouble the coming year with a little help from the man upstairs, then head up 14th Street a couple blocks and have brunch on the dog-friendly patios at Logan Tavern or Commissary on P Street!